Visiting Versailles is at the top of many Paris trip wishlists–and considering that the palace and expansive grounds make up one of the most opulent royal residences on the planet, it’s not hard to see why! Planning a day trip to Versailles from Paris is fairly straightforward, but you’ll definitely want to go in with a plan in place. That’s what we’re here for. Regardless of when or how you’re visiting Versailles, we’ve got you covered here. This is what you need to know. Though “visiting Versailles” is often touted alone as something to do when it’s discussed in more general Paris posts, the estate is–clearly–enormous. 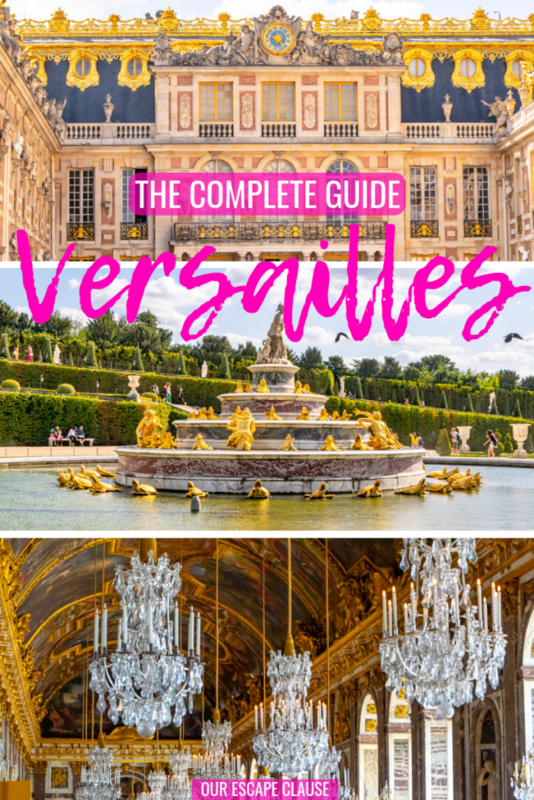 Even within Versailles itself, there are plenty of things to do, and most trips to Versailles won’t be able to cover them all. Be sure to prioritize your personal list of things to do at Versailles to make sure you don’t miss anything that is important to you! To help you make your plans, here are some of the best things to do at Versailles. 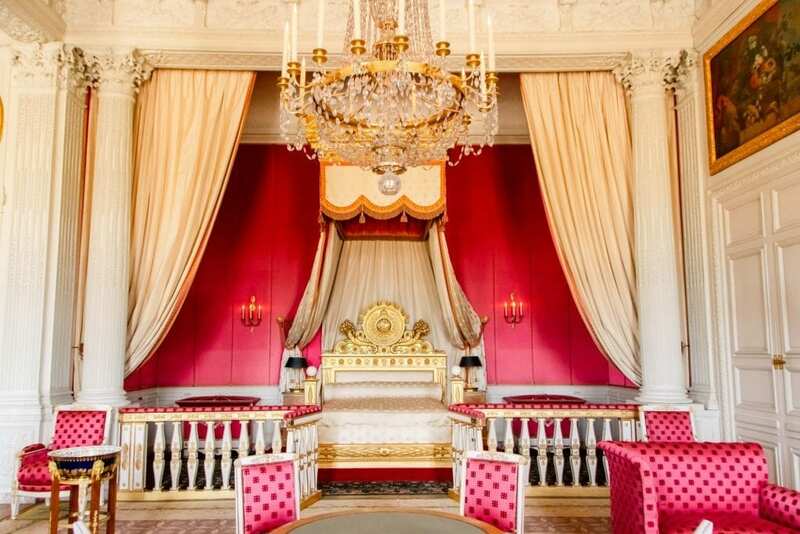 Tour the palace of Versailles. Obviously, touring the palace of Versailles belongs at the very top of this list! 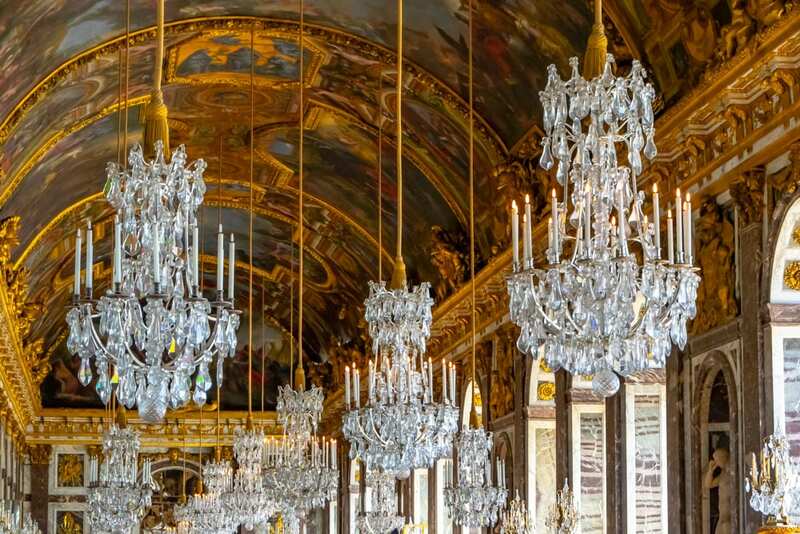 Most people visiting Versailles will already know of its most recognizable room, the Hall of Mirrors, and many more gilded areas are open to the public as well, including the State Apartments and the Royal Chapel. If you’re desperate to get behind the scenes and see more of Versailles’ 2300 rooms than just those that are open to the general public, some guided tours allow access to more restricted areas (as well as adding impressive amounts of context to your Versailles visit). 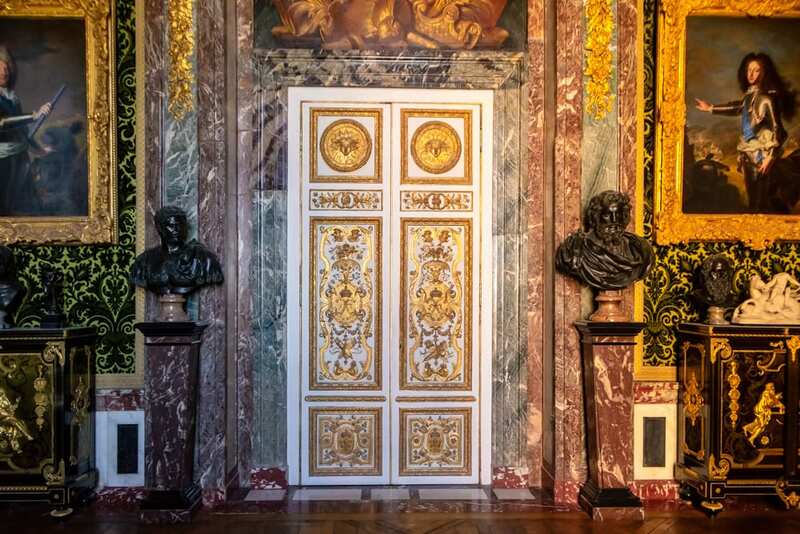 If you want to get behind the scenes, consider this Secret Rooms of Versailles tour! 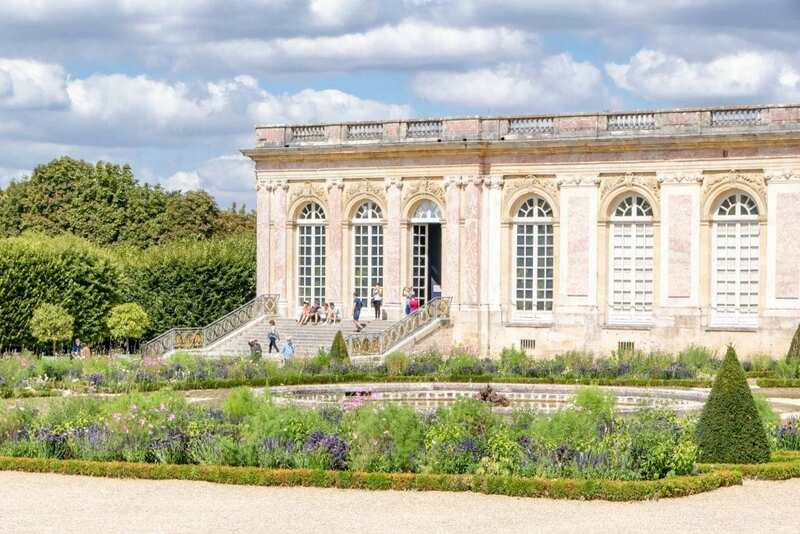 Pay a visit to Grand Trianon. 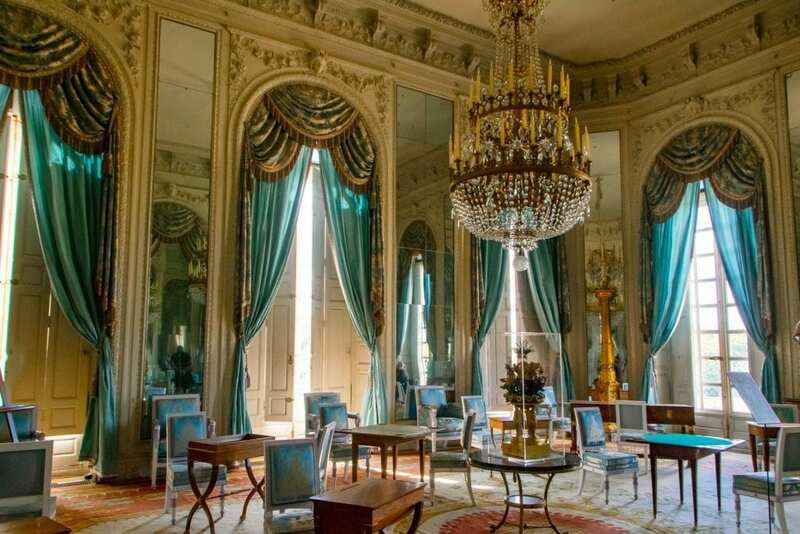 Built by the Sun King, Louis the 12th (grandfather of the famed Louis the 14th), Grand Trianon is incredibly beautiful, but it has a much more understated elegance than what you will experience at the over-the-top opulence of the palace of Versailles. Tucked into a quiet corner of the sprawling property, Grand Trianon feels worlds away from the hectic nature of Versailles. This small palace was built by Louis the 13th as a gift for his longtime mistress, before being gifted to Marie Antoinette when Louis the 14th took the throne. Though small (especially as compared to the palace of Versailles or even Grand Trianon), Petit Trianon is lovely, surrounded by beautiful gardens, and is isolated from the main palace of Versailles–it’s easy to see why it would have been considered a quiet escape from court life. Flounce around Marie Antoinette’s Hamlet. What do you do when you’re a teenage queen looking to get away from court life? 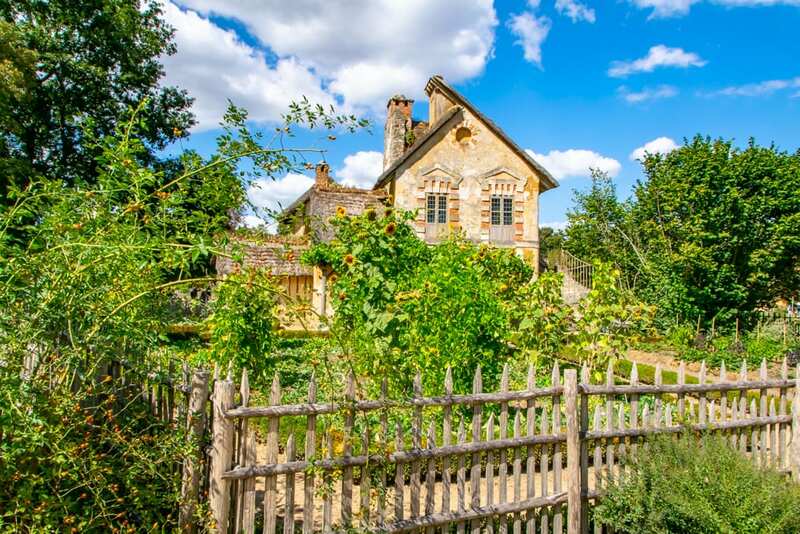 Why, turn the gardens of Trianon into a pretend rural village, of course! The Queen’s Hamlet consists of an entire grouping of rural buildings built around an artificial lake, and in Marie Antoinette’s day, it functioned as a working farm, complete with plenty of animals and fields, the purpose of which was to contribute to the education of the royal children. Marie Antoinette herself used the hamlet to relax or host small gatherings. Rent a rowboat on the Grand Canal. Versailles’ Grand Canal–which is located west of the palace, straight back into the gardens–is home to a collection of wooden rowboats that are available to rent. If you’d like to get an unusual perspective on the palace and the gardens, consider hitting the water while you’re visiting Versailles! Wander through the maze of gardens. 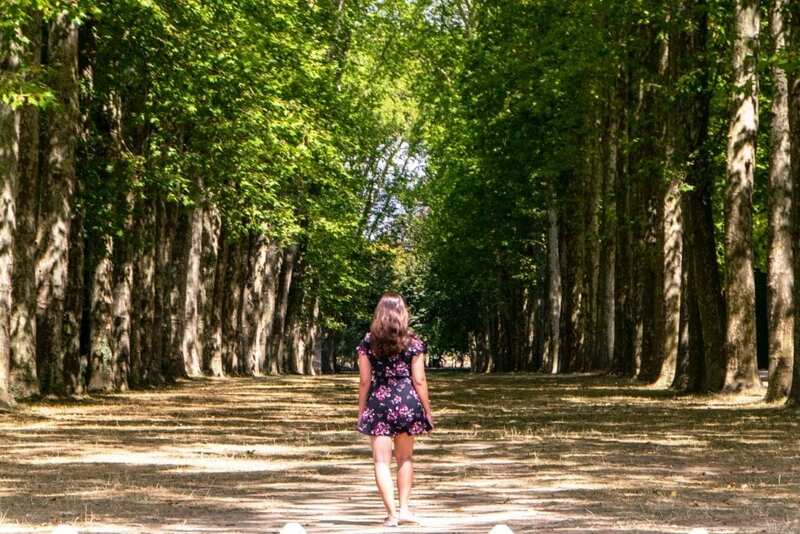 Spanning more than 8.2 square kilometers, the gardens of Versailles are more than just beautiful flowers and well-manicured trees–they’re the perfect place to get lost! Definitely dedicate a chunk of the time that you are visiting Versailles for to exploring the gardens! Each section has its own perks, from baroque fountains to ice cream stands. Especially be sure to check out the Ballroom, the Apollo Baths, the Enceladus Grove, and, of course, the beautiful and easy to spot Leto’s Fountain, which is situated right at the top of the gardens. Check out an exhibition or event at the palace. If you’d like to make your visit to Versailles extra special, consider visiting Versailles for a special event! 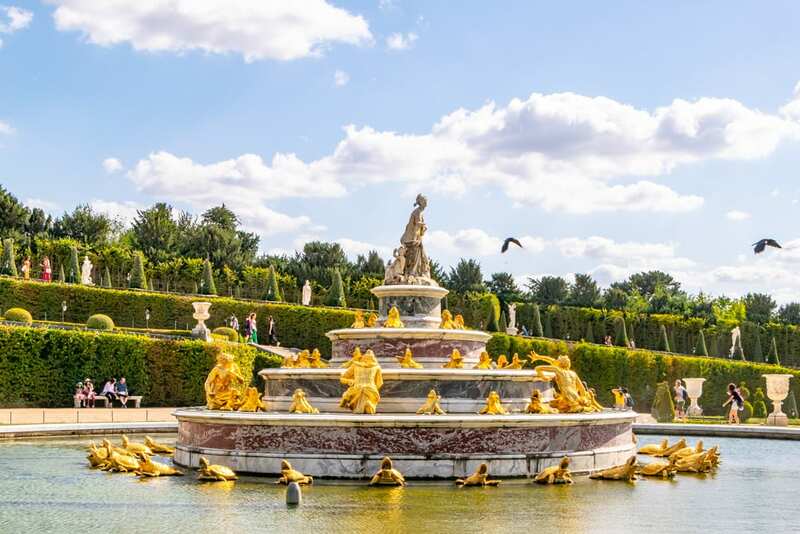 Most popularly, the Musical Fountains show is put on during some summer days, and though it requires a special ticket, allows you to admire the gardens at their very best, with live baroque music and the fountains turned on in all their glory. Various exhibitions and events also take place throughout the year, so if you have your eye on a unique visit to Versailles, be sure to check the calendar to see what’s going to be available during your trip! Hire a bike and explore the grounds. If walking around the grounds of Versailles feels too slow and a golf cart feels too removed from the environment, consider renting a bike for the day! Not only is riding through the grounds lots of fun, it will also make your schlep out to Grand Trianon, Petit Trianon, and the Queen’s Hamlet much easier. Buy skip-the-line tickets in advance. The lines for visiting Versailles are nearly always ridiculously long: with 7 million visitors per year, Versailles doesn’t really have anything approaching a deserted period during opening hours. For that reason, if you’re visiting Versailles independently, we strongly recommend purchasing skip-the-line tickets before arriving–considering the amount of time it saves, there’s absolutely no reason not to! 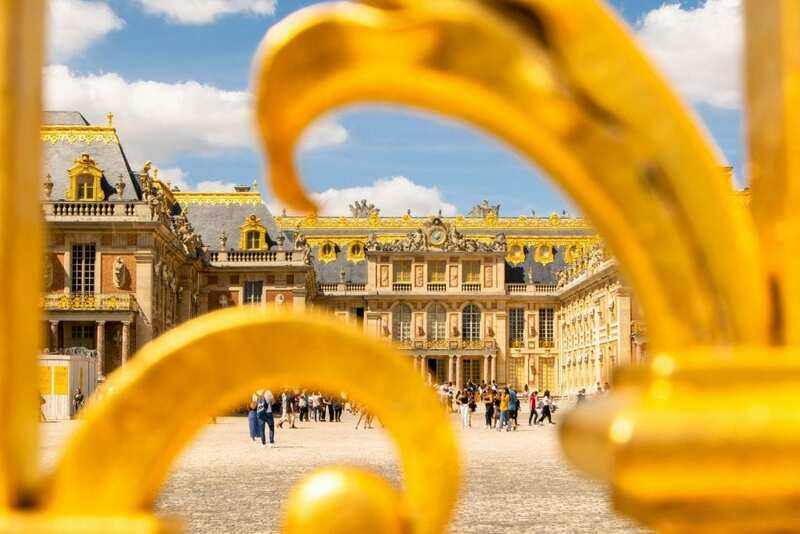 Bear in mind that though purchasing tickets for Versailles in advance does allow you to skip the (usually enormous) ticket line, you’ll still need to pass through security–there’s no way around that one. Book your skip-the-line tickets to Versailles today! Consider touring the gardens and Trianon first, then the palace. This depends somewhat on what time you arrive, but especially for those of us who are a bit challenged by early mornings, it can pay off to reverse the order of your traditional visit. On our most recent visit to Versailles, we walked right around the enormous security line to enter the palace when we arrived and instead made our way into the much more accessible gardens. 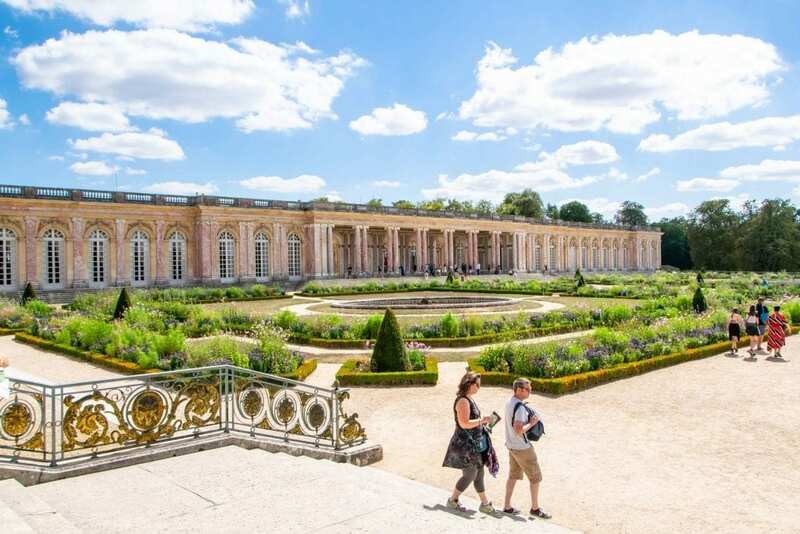 From there, we visited Grand Trianon, Petit Trianon, and the Queen’s Hamlet at our leisure before looping back to the palace of Versailles just a couple of hours before closing–and as a result, we waited less than 5 minutes in the security line! 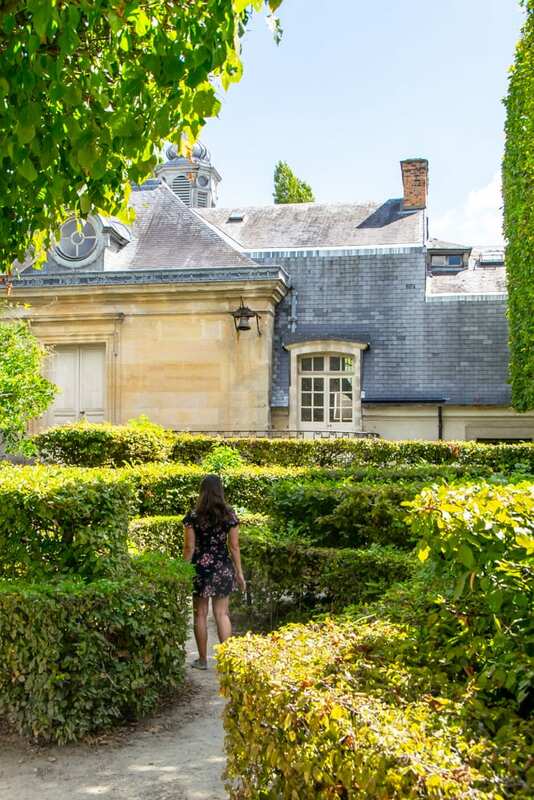 Keep in mind that the outer buildings only open at noon, so if you’re an early riser and are able to get into the security line before the palace of Versailles opens, the traditional route might still be better for you. Whether you want to buy a coffee or an ice cream from one of the vendors in the gardens, rent a rowboat for a romantic paddle in lake, pick up a golf cart for a few hours, or hop a ride on the small tram in the gardens to make the trek out to Trianon a bit easier, odds are you’ll find something while visiting Versailles that you want to drop some cash on. Wear the most comfortable shoes you own. Visiting Versailles includes a lot of walking. Even if you take advantage of bike or golf cart rentals for exploring the grounds, you’re still going to end up spending the bulk of your time on your feet–we both walked away from Versailles with feet just as sore as the day we visited Disneyland Paris, and that’s saying something! This is not the place for new shoes or heels of any kind: do yourself a favor and stick to something cozy. The palace of Versailles is not open on Mondays. Though the park and gardens are still open, if you’re taking a day trip to Versailles from Paris, you’ll obviously want to avoid coming on a Monday. Consider avoiding Versailles on Tuesdays. If you have the opportunity to schedule your visit to Versailles on any day of the week, Tuesday is best avoided. Given that the palace of Versailles in closed on Monday and the Louvre (along with the Musee Rodin and some other Paris museums) is closed on Tuesday, Tuesday is one of the most popular days to visit Versailles–and the resulting heavier-than-usual crowds are best avoided if possible. Expect to spend a full day at Versailles. It is possible to get a glimpse of Versailles in half a day, especially if you book a guided tour, but if you want to see the bulk of what Versailles has to offer, expect to spend a whole day there… and to leave with feet so sore that you’re not interested in sightseeing with any time you have left in the day. If you only have a few days in Paris and can only dedicate half a day to visiting Versailles, we recommend booking a tour to ensure that you make the most of your time. 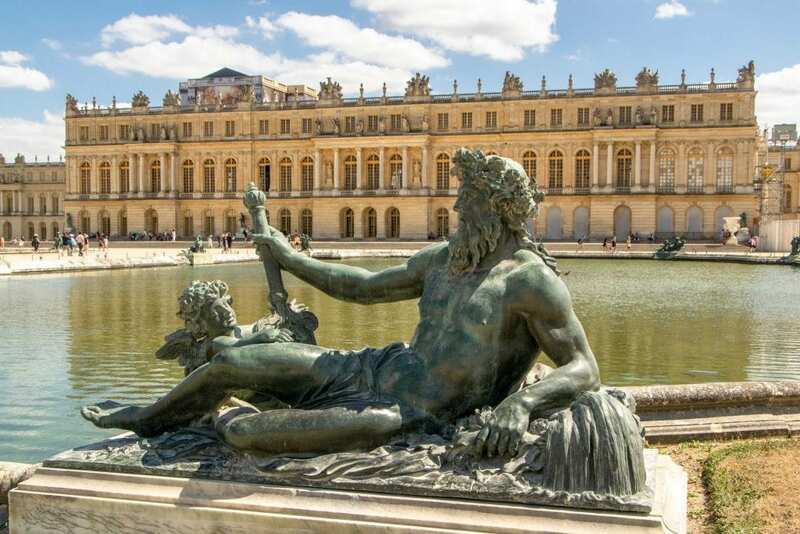 This half-day tour from Paris will ensure that you see the best of Versailles, fast! At this point, we’ve been lucky enough to visit Versailles in both the summer and winter, and the truth is… summer is undeniably better. 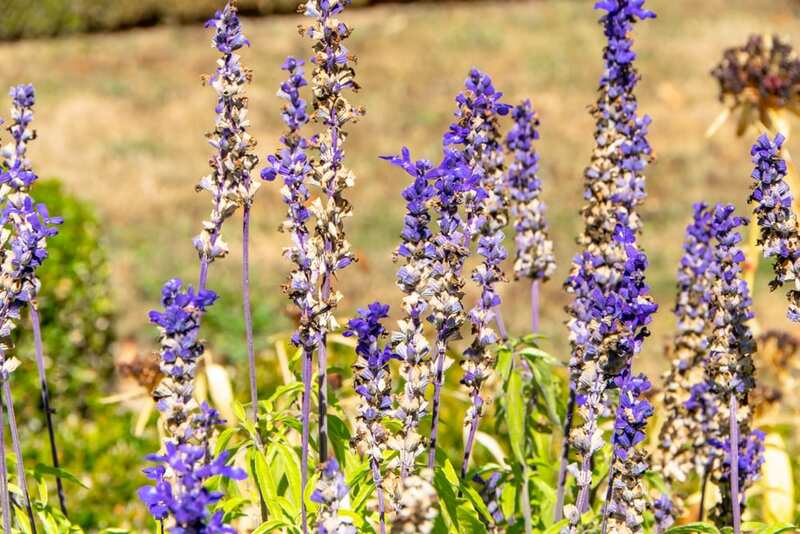 Sure, it’s a bit more crowded, but the grounds truly come to life in the summer (especially the Queen’s Hamlet), and it’s much easier to immerse yourself in the grounds and lose track of yourself wandering the estate during the summer. That being said, we did also adore our visit to Versailles in the winter, and if you happen to have a once-in-a-lifetime trip to Paris scheduled over winter, we wouldn’t recommend skipping Versailles just because of the season–the palace is stunning at any time of year, and there is a peacefulness to the grounds in winter, as well. 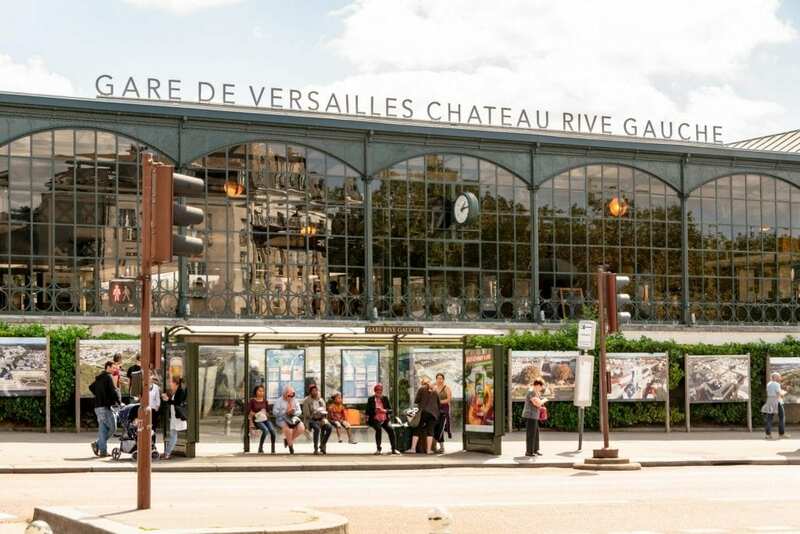 To visit Versailles from Paris, the easiest thing to do is to take the RER C train to the Versailles-Château-Rive-Gauche station. Once you get on the RER C train, the journey is about 40 minutes from the center of Paris. Keep in mind that the RER is a separate train system from the metro, even though they both exist in some of the same stations in Paris! Be sure to intentionally buy an RER ticket to Versailles, and not simply use a Paris metro ticket. 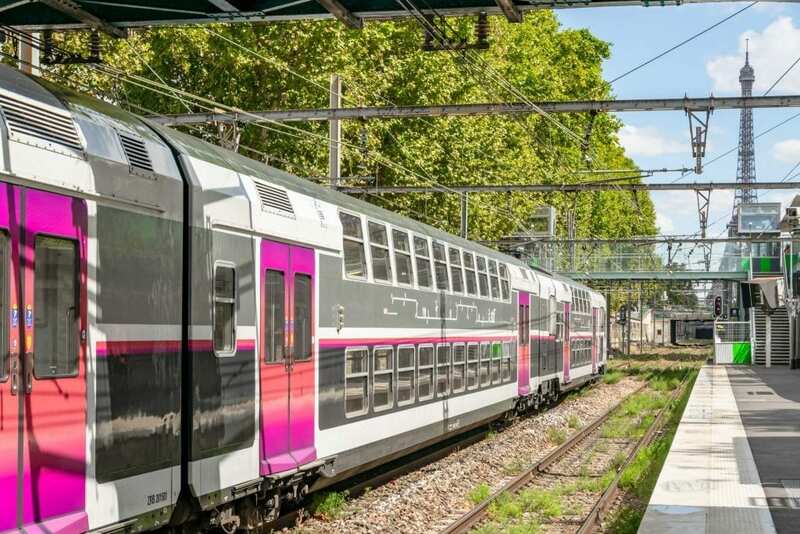 When you purchase your train ticket to Versailles, be sure to purchase a round-trip ticket (and then keep track of which ticket you validate first, so you don’t accidentally try to reuse a ticket on the way home!). The crowds can get very heavy at the Versailles-Château-Rive-Gauche station, especially around the time that the palace closes, and it’s much simpler to already have your return ticket in hand when heading out to Versailles. Once you arrive at the Versailles-Château-Rive-Gauche station, it’s an easy 10-minute walk to the palace. 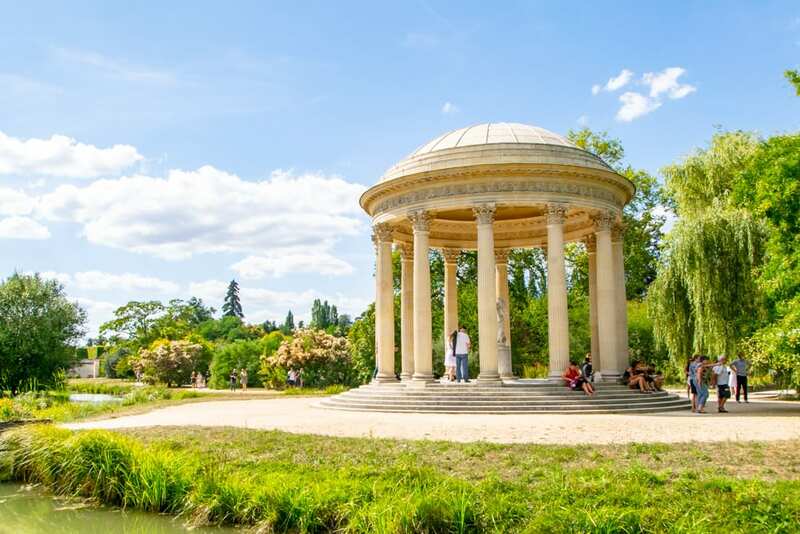 While visiting Versailles via the RER C line is fairly simple, if you’d prefer not to have to worry about transportation, consider booking a tour of Versailles that leaves from Paris. The grounds of Versailles are enormous! 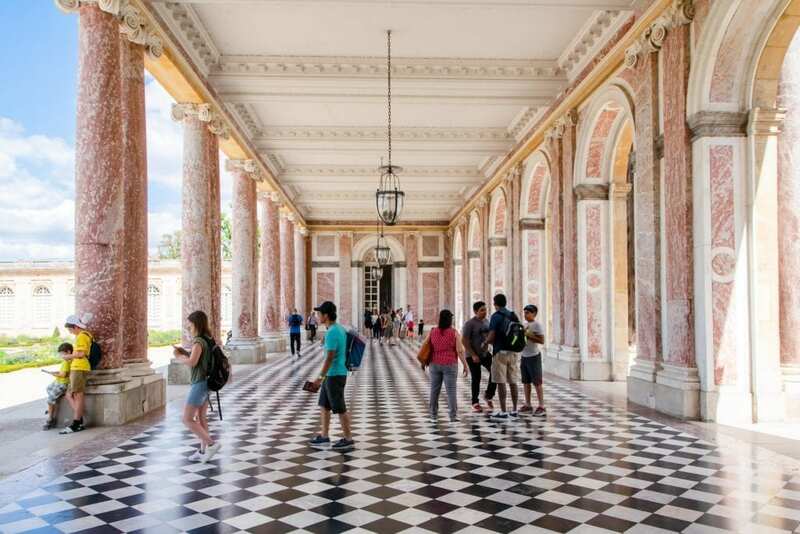 Regardless of how you decide to get around Versailles, you’re virtually guaranteed to finish your Versailles visit with sore feet–hours of walking is the nature of the beast. However, if you’d like to expedite your way around the grounds, you have a few options: you can rent bikes, hop on the tram, rent a golf cart for the day, or even take a Segway tour–if you think you might want to take advantage of these options, be sure to bring some cash with you on your visit to Versailles! Book your Segway tour of the Versailles grounds today! While for visitors, visiting Versailles from Paris is synonymous with the visiting royal palace and grounds, Versailles is also a town! If you’d like to step outside the typical route and see Versailles beyond the relics of the royals, consider paying a visit to the beautiful Versailles Cathedral, admiring the adorable French homes in the quarter of Saint-Louis, check out the Musée Lambinet, and, of course, wander the quiet, beautiful streets while ducking into the occasional pastry shop!